Please review the guidelines below before you register your business name or create marketing materials with a third party vendor. 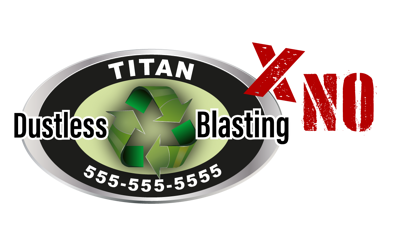 Do not use the exact phrase "Dustless Blasting®" in your business name. For more ideas on how to name your business, click here. Read our tip and tricks on choosing a great business name by clicking below. These guidelines are for MMLJ, Inc. customers and other parties wishing to use MMLJ’s trademarks or images in promotional, advertising, instructional, or reference materials, or on their web sites, products, labels, or packaging in connection with the provision of abrasive surface preparation services using authentic MMLJ equipment or the rental of such authentic equipment for such purposes. Misuse or unauthorized use of MMLJ’s trademarks or images for commercial purposes without the prior written consent of MMLJ may constitute trademark or copyright infringement and unfair competition in violation of federal and state laws. Use of MMLJ trademarks is prohibited, unless expressly authorized. MMLJ’s trademarks include the trademarks in word formats (“MMLJ word marks”) and design formats (“MMLJ Logos”) (see MMLJ Trademark List). If you are a licensee of an MMLJ trademark or logo and have been provided with special trademark usage guidelines with your license agreement, please follow those guidelines. If your license agreement does not provide usage guidelines, then follow these guidelines. If you are a member of a special MMLJ program, you may be subject to additional restrictions. MMLJ’s trademarks, trade names, trade dress and copyrighted content are valuable assets. In following these guidelines, you help us protect our valuable trademark and copyright rights and strengthen our corporate and brand identities. By using an MMLJ trademark, in whole or in part, you are acknowledging that MMLJ is the sole owner of the trademark and promising that you will not interfere with MMLJ’s rights in the trademark, including challenging MMLJ’s use, registration of, or application to register such trademark, alone or in combination with other words or designs, anywhere in the world, and that you will not harm, misuse, or bring into disrepute any MMLJ trademark. The goodwill derived from the use of an MMLJ trademark, in whole or in part, exclusively inures to the benefit of and exclusively belongs to MMLJ. Except for the limited right to use as expressly permitted under these Guidelines, no other rights of any kind are granted hereunder, by implication or otherwise. If you have any questions regarding these guidelines, please talk to your MMLJ representative or submit your query to MMLJ’s Trademark Department. Only MMLJ and its licensees may use the MMLJ Logo in advertising, promotional, and sales materials. Such authorized parties may use the MMLJ Logo only as specified in their agreement with MMLJ and any associated Guidelines and such use must always be in conjunction with the appropriate terms that define the relationship authorized by their contract with MMLJ. Service providers may use the trademark Dustless Blasting® or any other MMLJ word mark (but not the MMLJ Logo or other MMLJ-owned graphic symbol/logo) in a referential phrase on promotional/advertising materials to describe that the service is being undertaken using genuine MMLJ products, provided they comply with the following requirements. The MMLJ word mark is not part of the business name or other non-MMLJ products. The MMLJ word mark is used in a referential phrase such as “We use authentic DUSTLESS BLASTING® brand equipment to perform our surface preparation services”. The MMLJ word mark appears less prominent than the name used by the service provider, and no more prominent than the surrounding text. The service provider is in fact a genuine user of the referenced MMLJ product. The reference to MMLJ does not create a sense of endorsement, sponsorship, or false association with MMLJ or MMLJ products or services. The use does not show MMLJ or its products in a false or derogatory light. The use is referential and less prominent than the rest of the title. 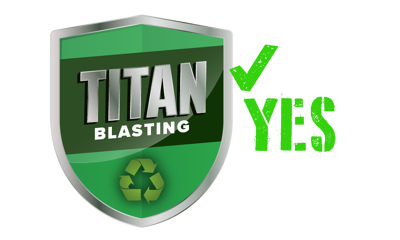 Acceptable: RESTORATION CONFERENCE for Dustless Blasting Users. The use reflects favorably on both MMLJ and MMLJ products or technology. Your name and logo appear more prominent than the MMLJ word mark on all printed materials related to the publication, seminar or conference. The MMLJ Logo or any other MMLJ-owned graphic symbol, logo, icon or image does not appear on or in the publication or on any materials related to the publication, seminar, or conference without express written permission from MMLJ. Web sites that serve only as noncommercial electronic informational forums concerning an MMLJ product or technology may use the appropriate MMLJ word mark, provided such use complies with the guidelines set forth in Section 3 above. You may not use or register, in whole or in part, in any jurisdiction the trademarks: Dustless Blasting (word or logo formats), The Future of Surface Preparation, DB150, DB225, DB500, DB800, DB1500, DB3000, or any other MMLJ trademark, including MMLJ-owned graphic symbols, logos, icons, or an alteration thereof, as or as part of a company name, trade name, product name, or service name except as specifically noted in these guidelines except pursuant to an express written trademark license from MMLJ. You may not use the MMLJ Logo or any other MMLJ-owned graphic symbol, logo, or icon on or in connection with web sites, products, packaging, manuals, promotional/advertising materials, or for any other purpose except pursuant to an express written trademark license from MMLJ. 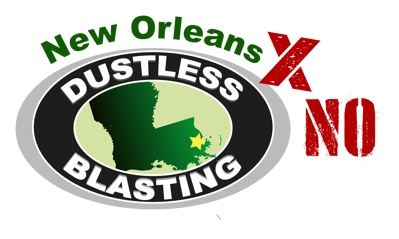 Not acceptable: "Dustless Blast" "Dustless Blasting Direct" "DB160"
You may not use an MMLJ trademark or any other MMLJ-owned graphic symbol, logo, or icon in a disparaging manner. 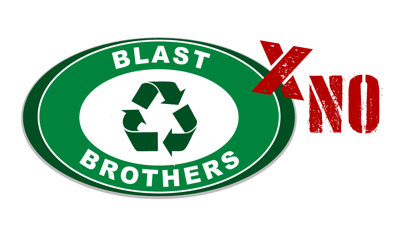 You may not use MMLJ Trademarks, such as the trademarks Dustless Blasting (word or logo formats), The Future of Surface Preparation, DB150, DB225, DB500, DB800, DB1500, DB3000, or any other MMLJ trademark, including MMLJ-owned graphic symbols/logos, or icons, in a manner that would imply MMLJ’s affiliation with or endorsement, sponsorship, or support of a third party product or service. You may not manufacture, sell or give-away merchandise items, such as T-shirts and mugs, bearing MMLJ Trademarks, such as the trademarks Dustless Blasting (word or logo format), The Future of Surface Preparation, DB150, DB225, DB500, DB800, DB1500, DB3000, or any other MMLJ trademark, including symbols, logos, or icons, except pursuant to an express written trademark license from MMLJ. You may not use or imitate an MMLJ slogan, trademark, or tagline. You may not use an identical or virtually identical MMLJ trademark as a second level domain name. 1. Trademarks are adjectives used to modify nouns; the noun is the generic name or type of a product or service. 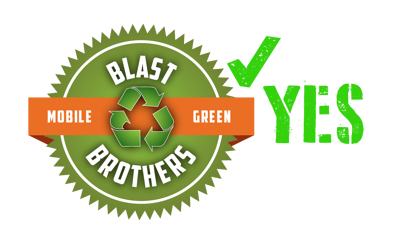 Correct: I bought two Dustless Blasting machines. 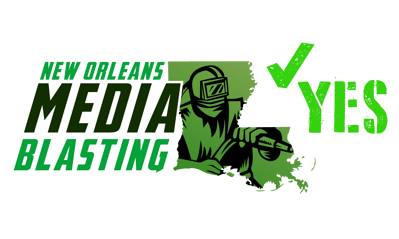 Correct: I perform Dustless Blasting wet abrasive surface preparation services. 3. An appropriate generic term must appear after the trademark the first time it appears in a printed piece when using the trademark in a sentence or heading. For a list of suggested generic terms see the MMLJ Trademark List. 4. Always spell and capitalize MMLJ’s trademarks exactly as they are shown in the MMLJ Trademark List. Do not shorten or abbreviate MMLJ product names. Do not make up names that contain MMLJ trademarks. On product, product documentation, or other product communications that will be distributed only in the United States, use the appropriate trademark symbol (TM or ®) the first time the MMLJ trademark appears in the text of the advertisement, brochure, or other material. Refer to the MMLJ Trademark List for the correct trademark symbol, spelling of the trademark, and generic term to use with the trademark. Generally, the symbol appears at the right shoulder of the trademark (except the MMLJ Logo, where the logo appears at the right foot). Include an attribution of MMLJ’s ownership of its trademarks within the credit notice section of your product, product documentation, or other product communication. _________ and _______ are registered trademarks of MMLJ Inc.
_________ and _______ are trademarks of MMLJ Inc.
Do not use trademark symbols on products, product documentation, or other product communications that will be distributed outside the United States unless expressly authorized by MMLJ. _________ is a trademark of MMLJ Inc., registered in the U.S. and other countries. _________ is a trademark of MMLJ Inc. Except as otherwise authorized herein, MMLJ does not support the use of its logos, company names, product names, or images of MMLJ products by other parties in marketing, promotional or advertising materials as their use may create the perception that MMLJ endorses or sponsors the product, service or promotion. Your product is in fact compatible with, or otherwise works with, the referenced MMLJ product. The image is an actual photograph of the genuine MMLJ product and not an artist’s rendering (Note: You must obtain express written permission from MMLJ before using any photograph owned or licensed by MMLJ). The MMLJ product is shown only in the best light, in a manner or context that reflects favorably on the MMLJ products and on MMLJ Inc. The reference to MMLJ does not create a sense of endorsement or sponsorship by, or other false association with, MMLJ or MMLJ products. For further information with respect to MMLJ’s copyrighted materials, please submit your request in writing to the Copyright Team. MMLJ reserves the right to modify these guidelines at any time.